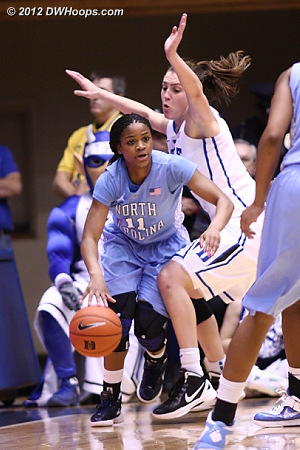 All photos for this game have been published. 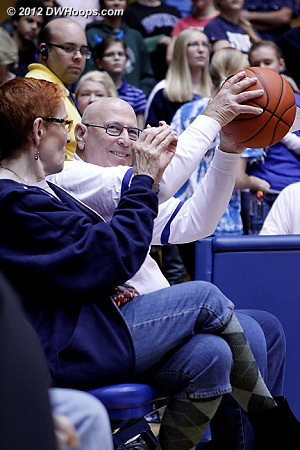 DWHoops members can log in to see many more photos than the public set below. 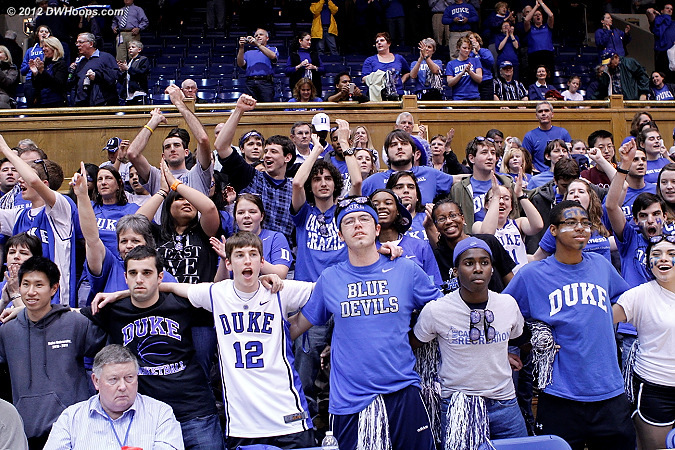 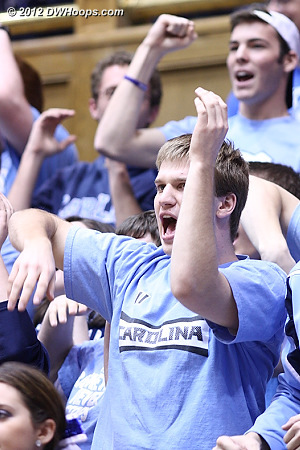 Putting the Dancing Devils in front of the Carolina students was a clever idea! 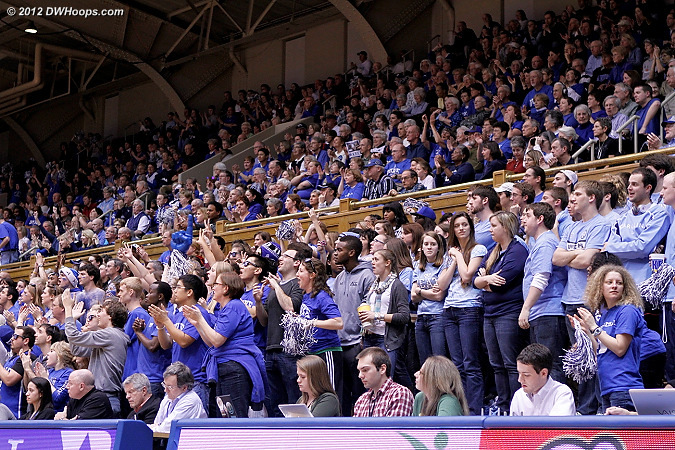 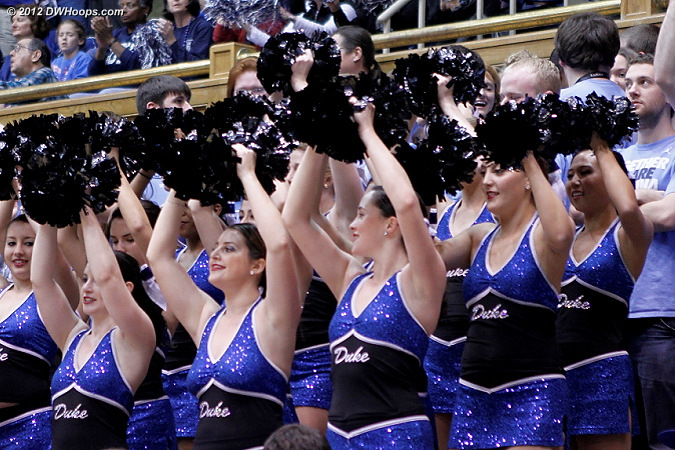 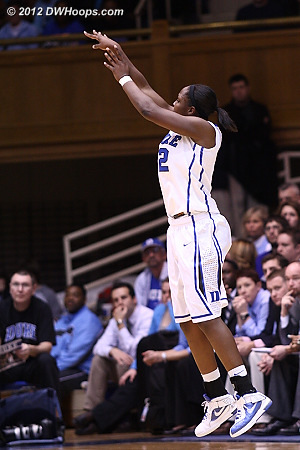 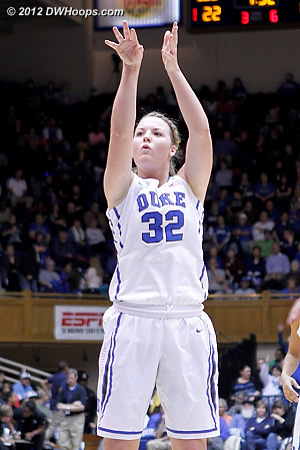 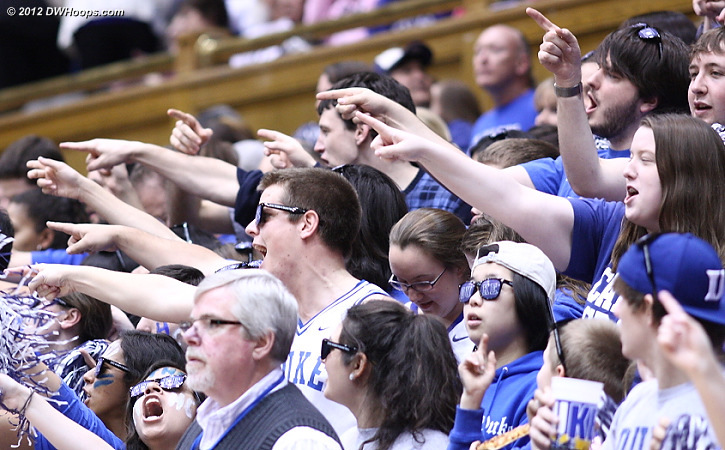 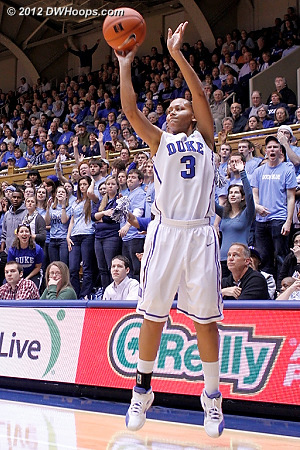 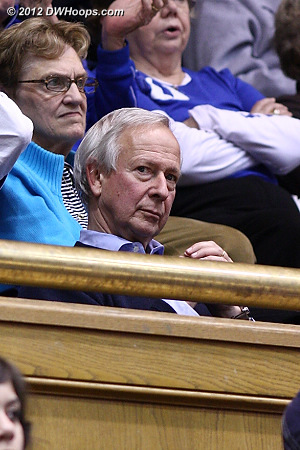 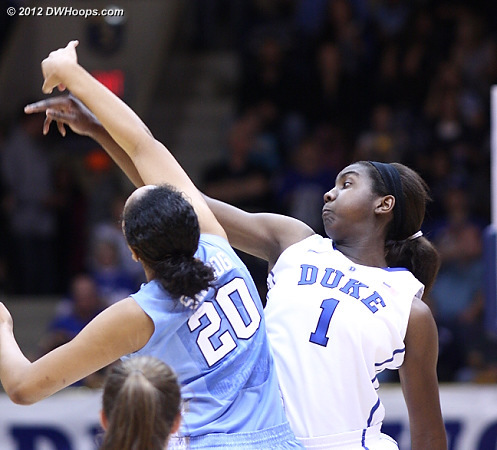 A pair of Williams free throws gave Duke the lead, 9-8. 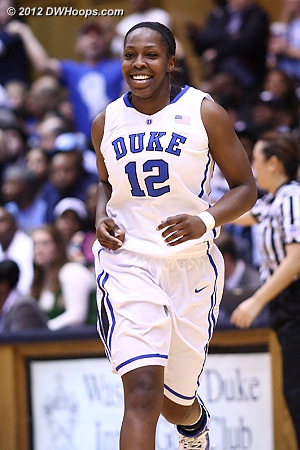 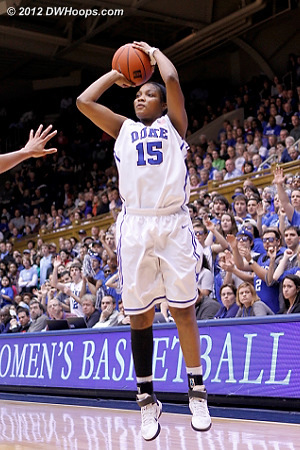 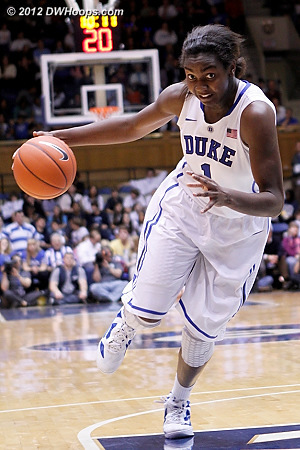 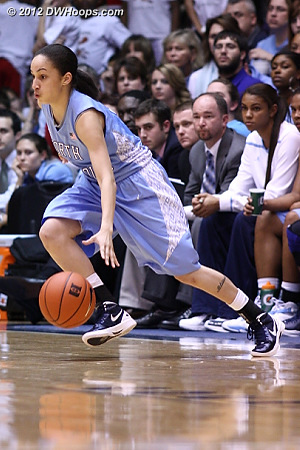 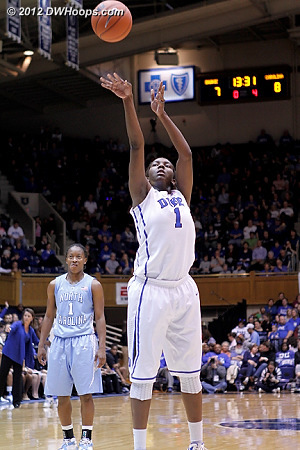 She was 3-4 from the line tonight, improving her season average each recent game. 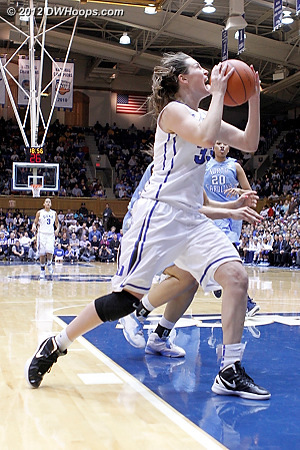 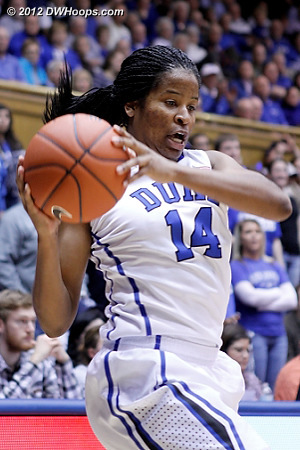 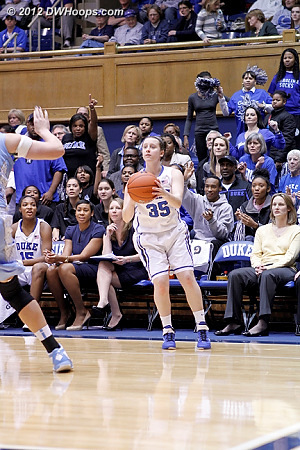 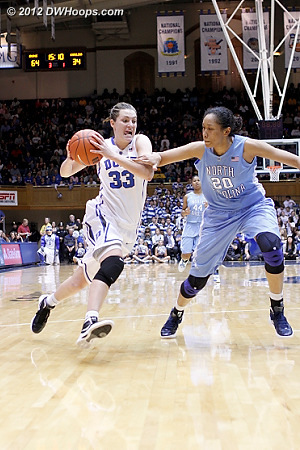 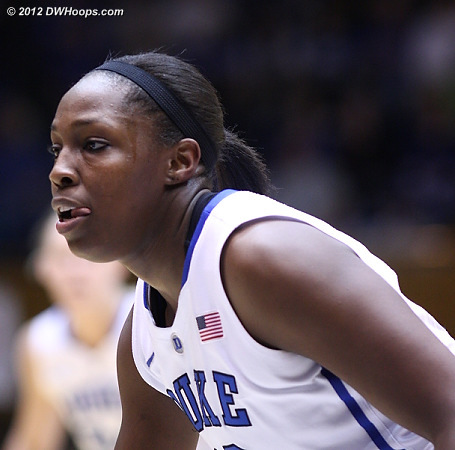 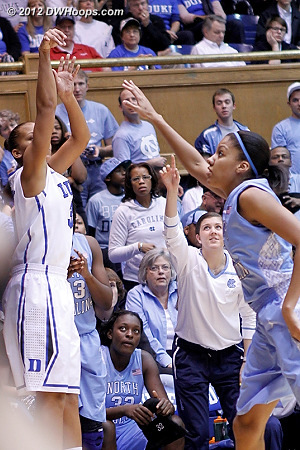 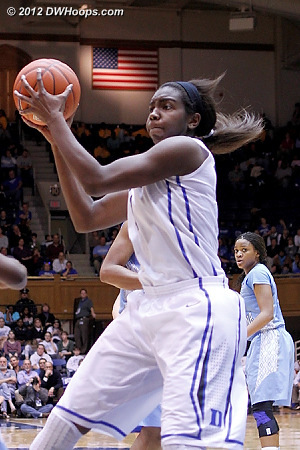 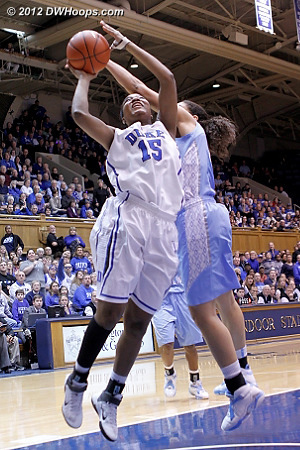 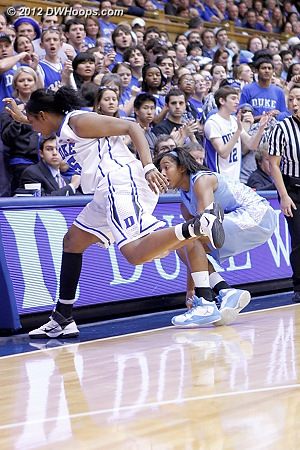 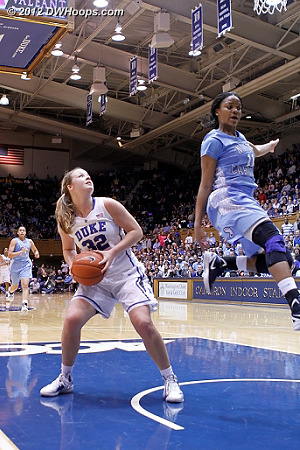 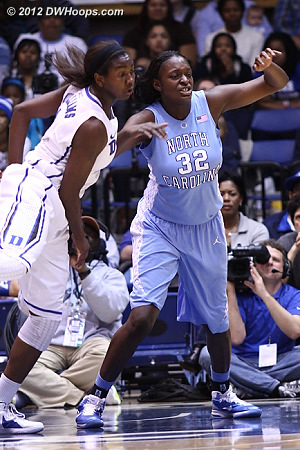 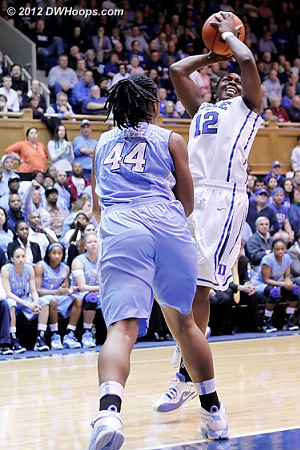 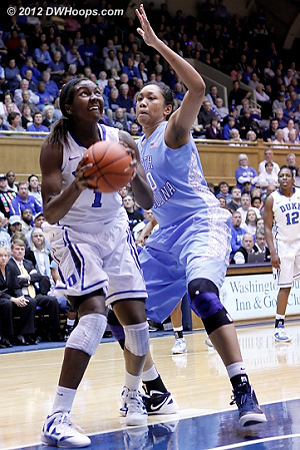 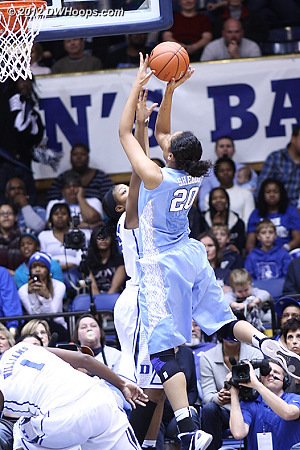 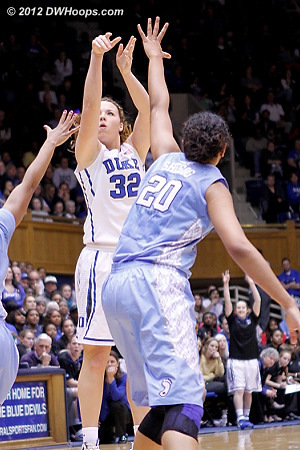 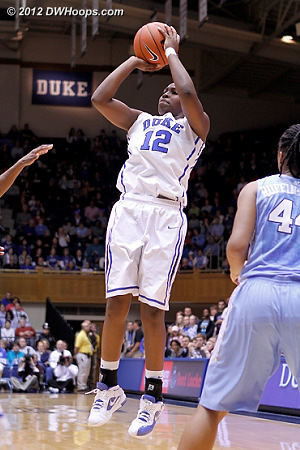 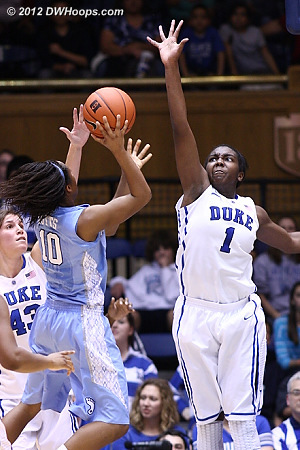 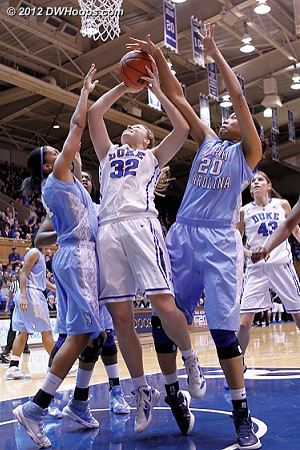 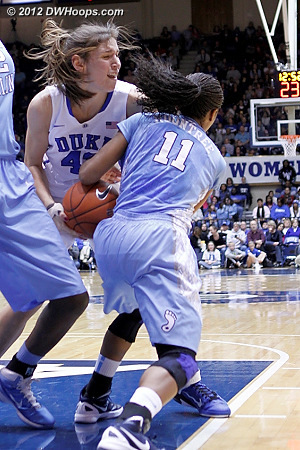 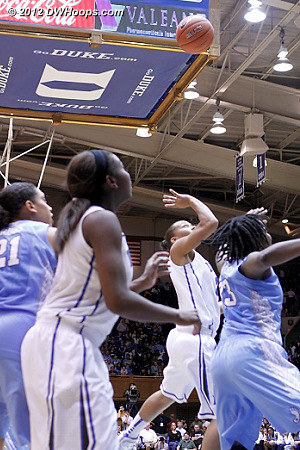 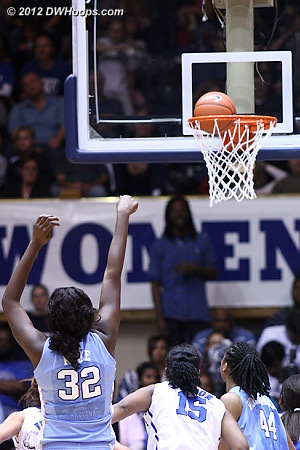 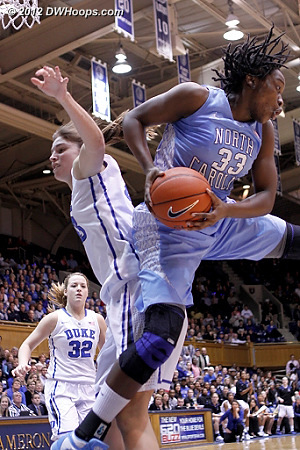 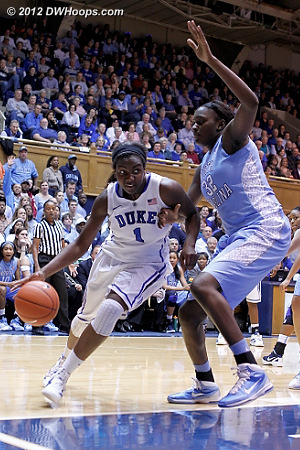 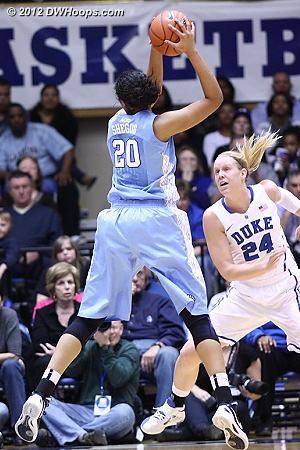 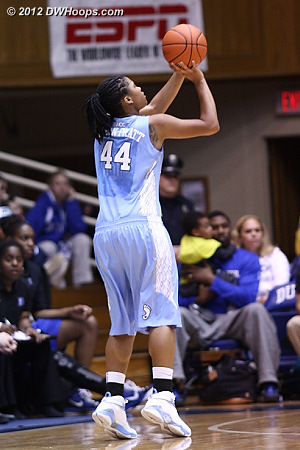 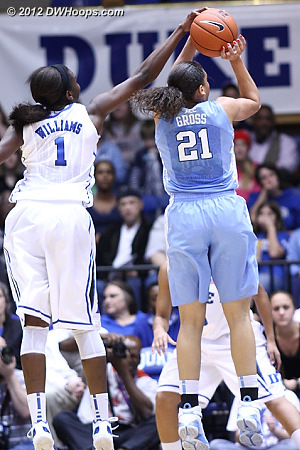 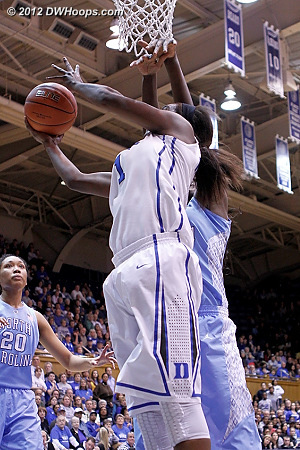 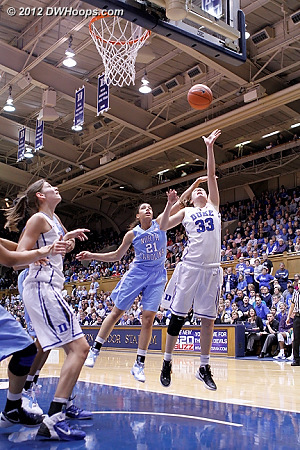 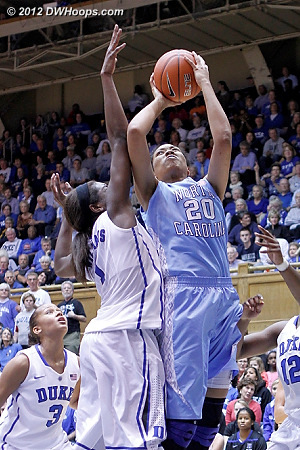 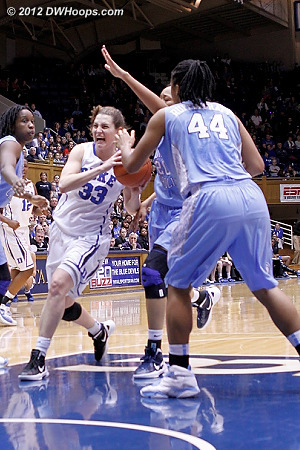 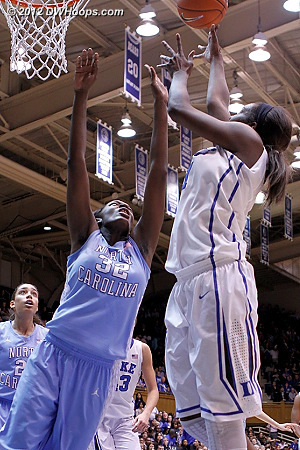 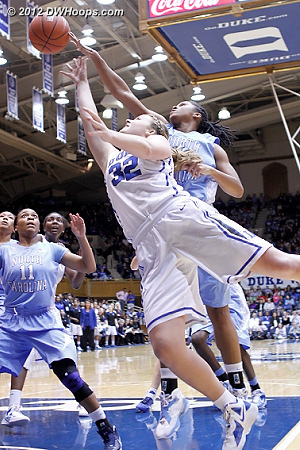 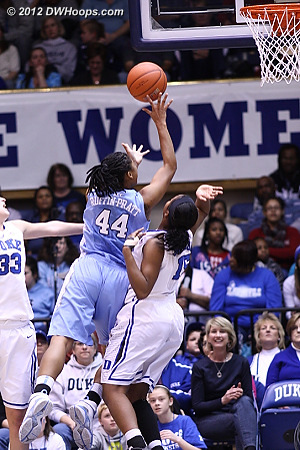 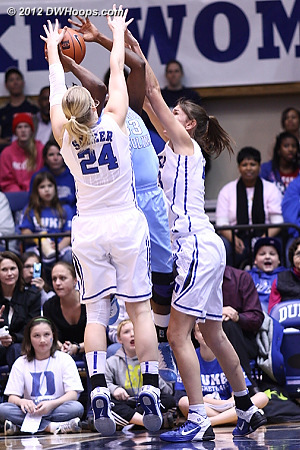 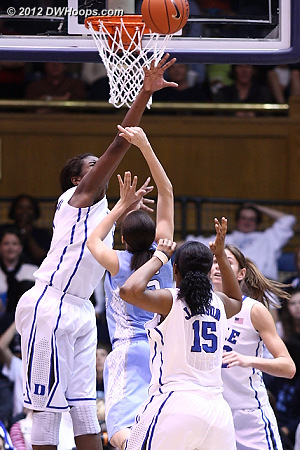 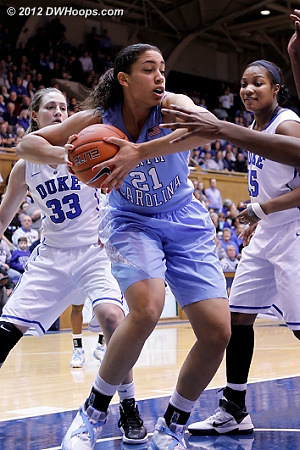 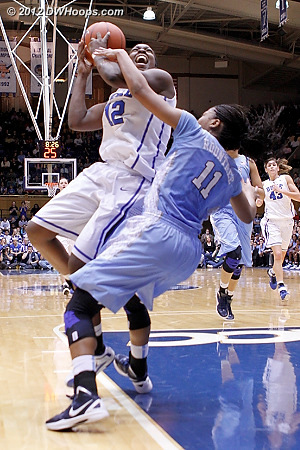 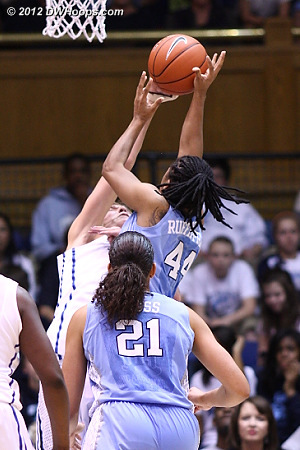 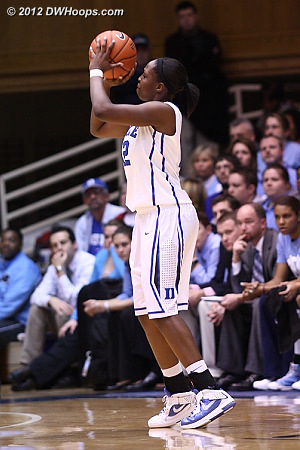 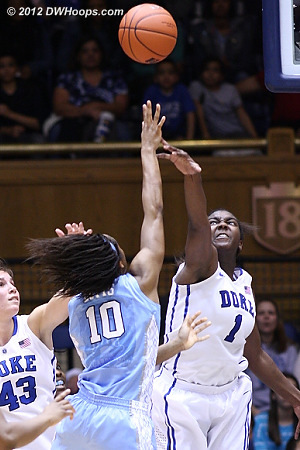 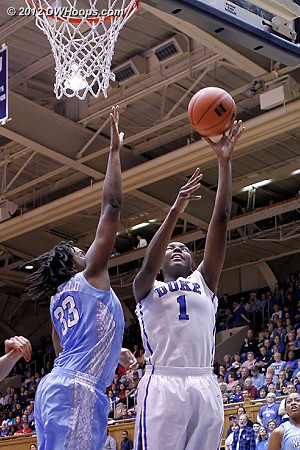 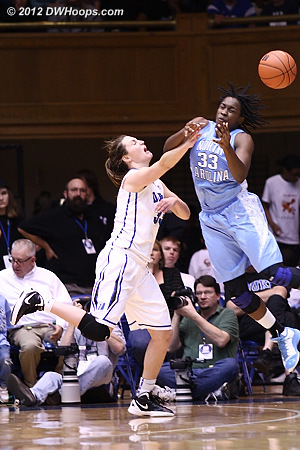 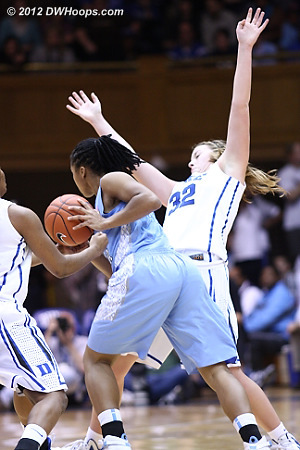 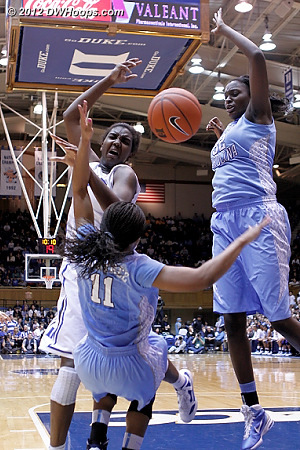 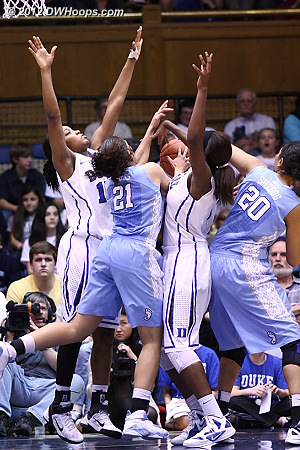 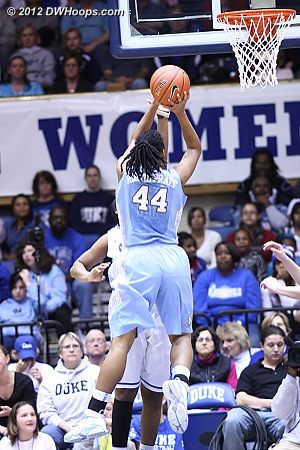 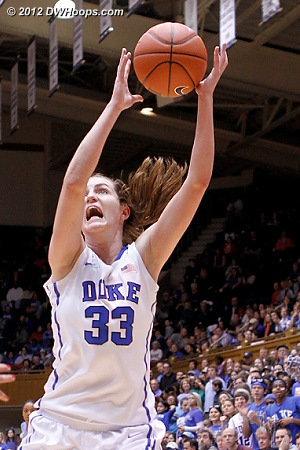 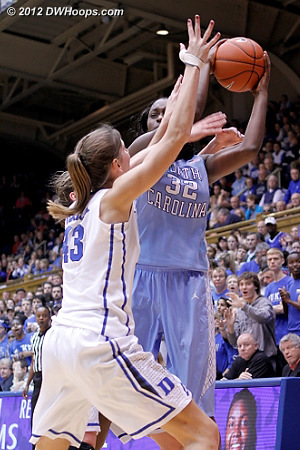 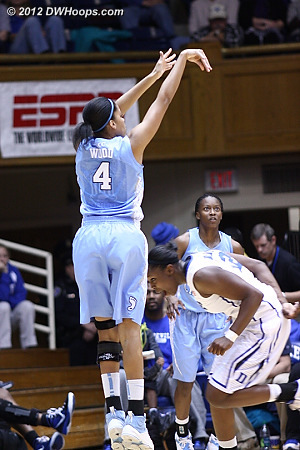 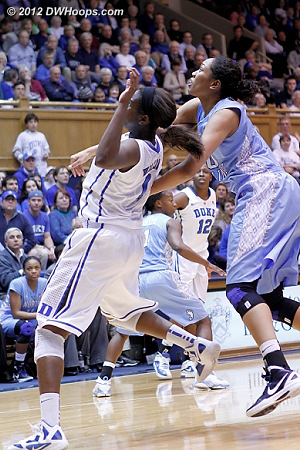 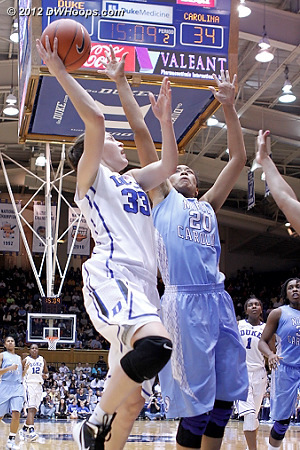 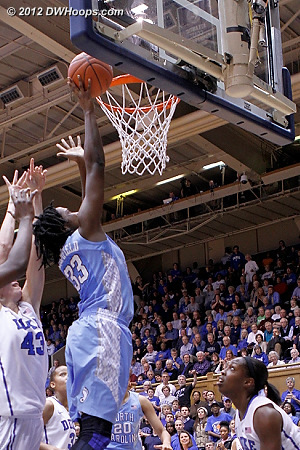 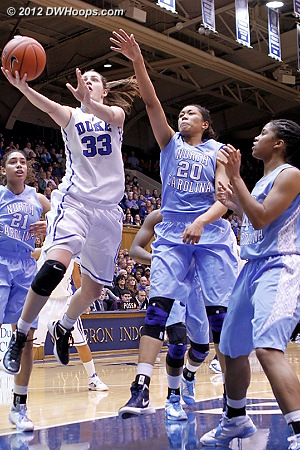 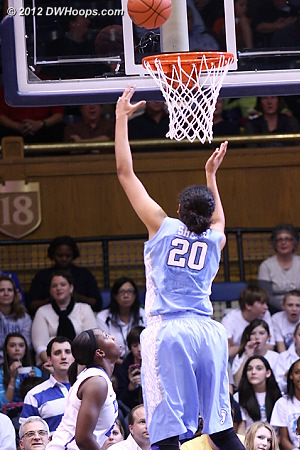 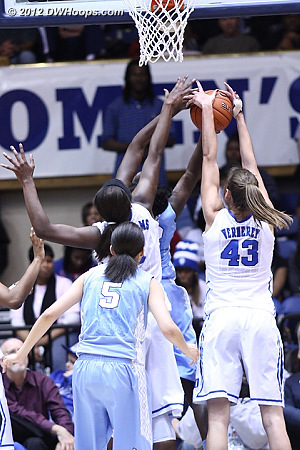 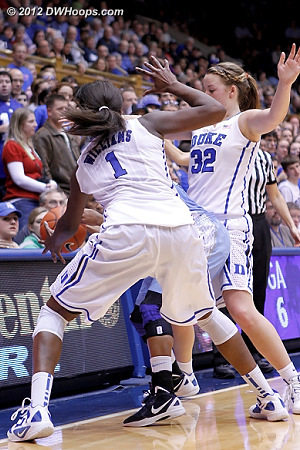 Chelsea Gray found the range on her stepback jumper, the 7-0 Duke run forced a UNC timeout. 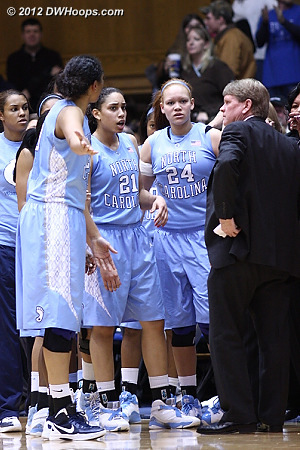 Chelsea Gray spots up for three near the "h" in "Coach K Court"
Carolina huddle discusses the breakdown - but who can fault them on a 30' shot? 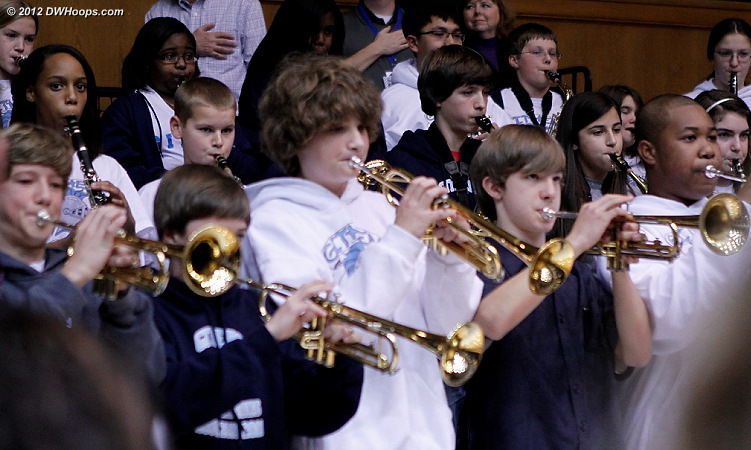 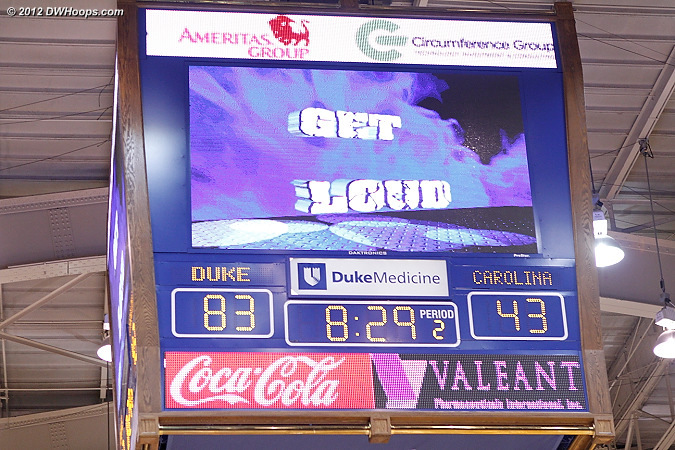 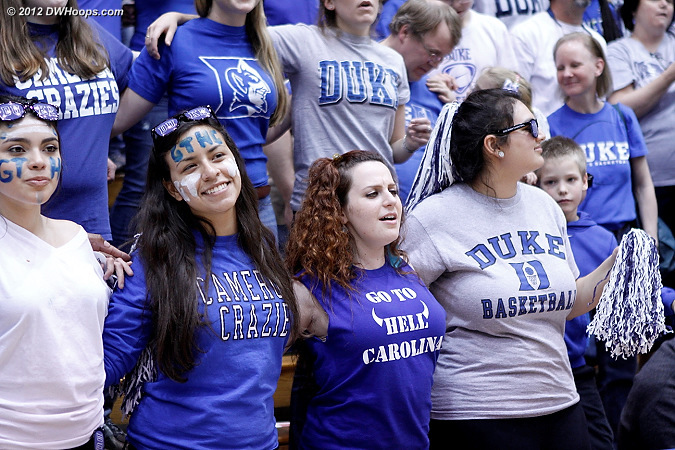 The Duke-Carolina rivalry understood and perfectly expressed. 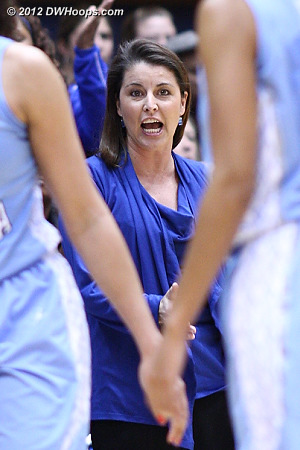 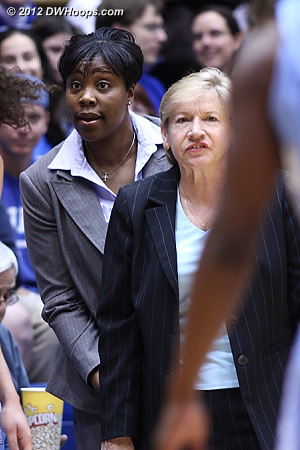 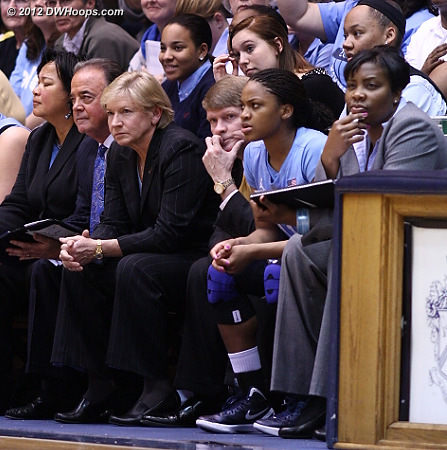 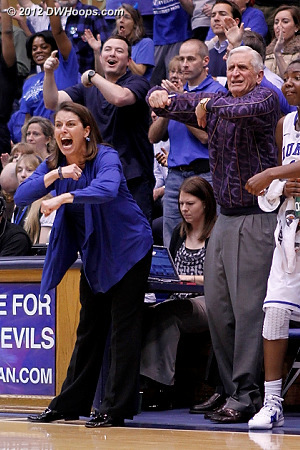 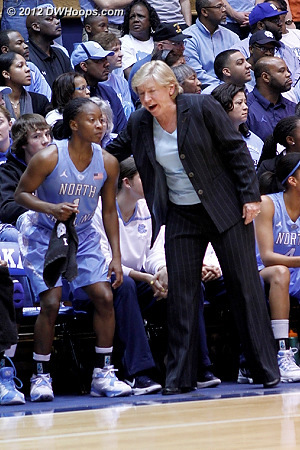 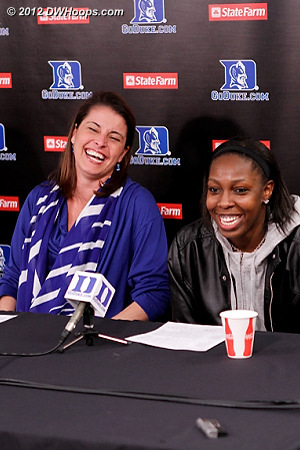 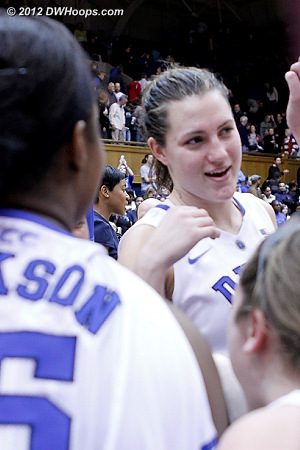 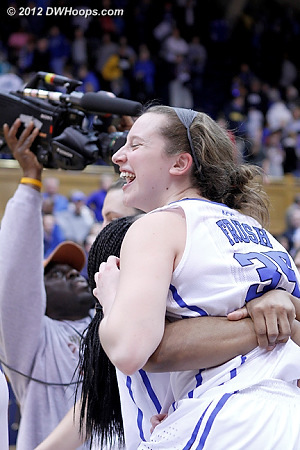 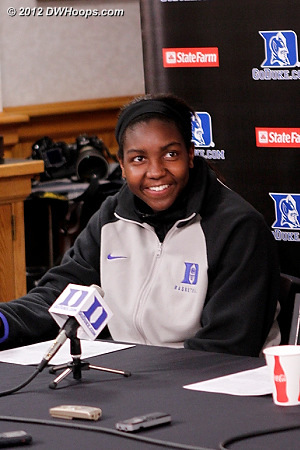 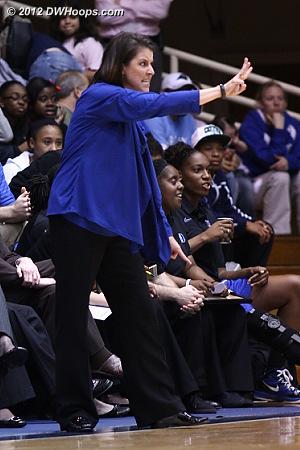 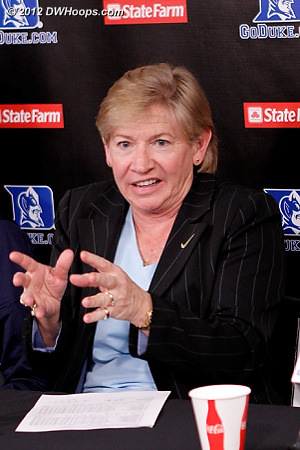 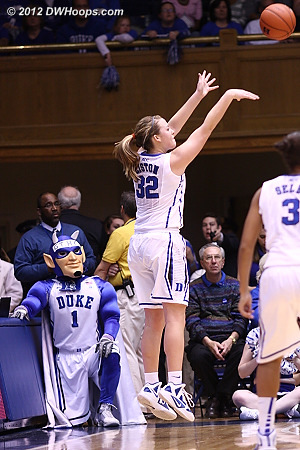 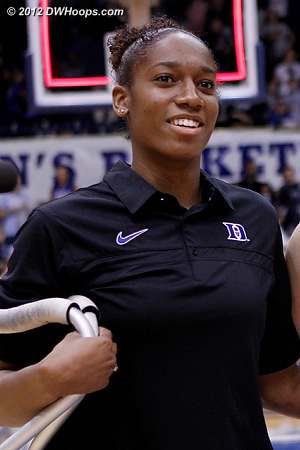 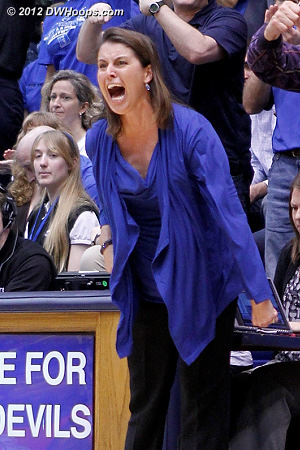 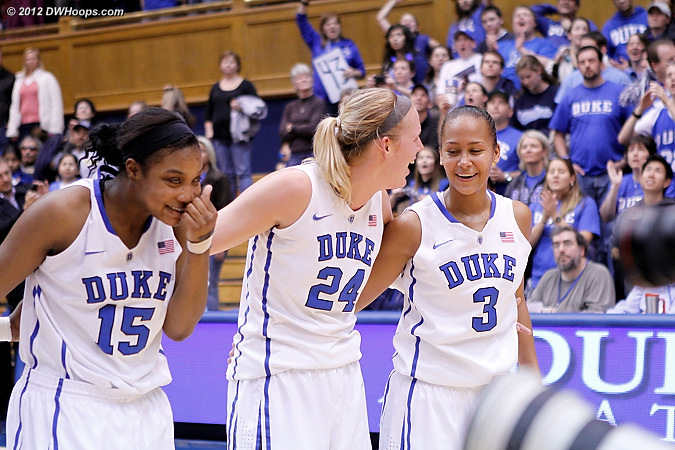 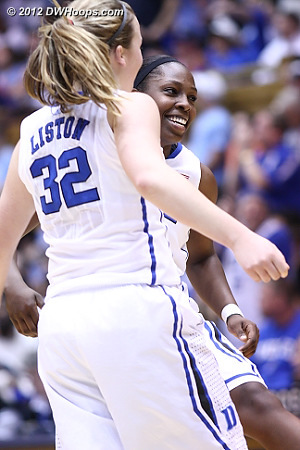 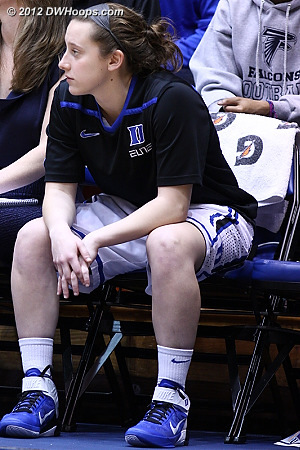 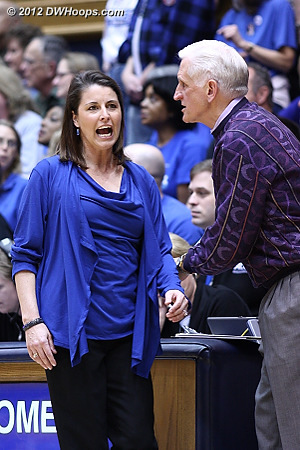 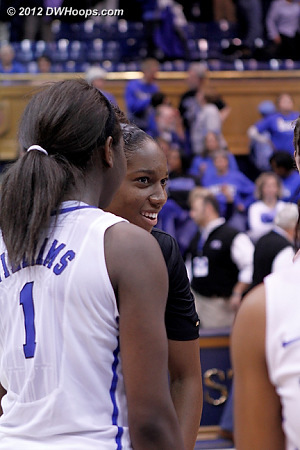 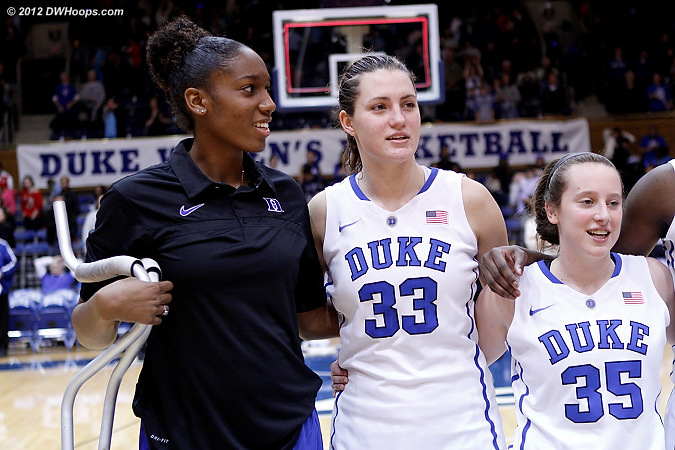 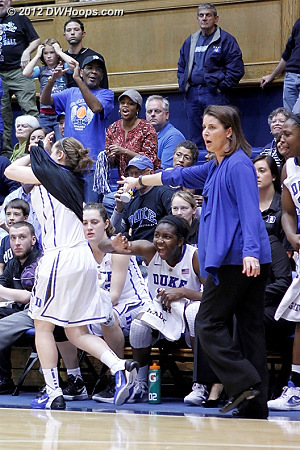 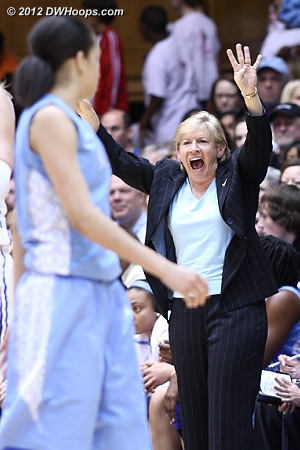 Chelsea and Coach P laugh when Rob tells them that her three point shot was by the "h" in "Coach K Court"